Chinese New Year lands on January 28th in 2017, and it would be impossible to celebrate a modern day Chinese New Year without the CCTV Chinese New Year’s Gala. What is the CCTV Chinese New Year’s Gala? Every Chinese New Year, CCTV (China Central Television) puts on a grand entertainment gala full of song, dance, and stand-up comedy. The gala is also known as 中国中央电视台春节联欢晚会 and is abbreviated as 春晚 (chūn wǎn) by Chinese speakers. Chinese viewers both domestic and abroad tune in to the popular show – in 2015, around 900 million people watched the CCTV gala broadcast, that’s almost eight times the viewership of the Superbowl. Now, imagine how much advertising space during the gala costs! Well, unlike the Superbowl, the CCTV gala does not offer quotes for commercials. Instead, they offer spots out for bids. In 2011, a 30-second commercial slot went for roughly 24 million U.S dollars. To put that in perspective, a 30-second slot for the Superbowl only costs about 3.8 million dollars. For people who have not grown up watching the show, the show might seem difficult to understand or enjoy. 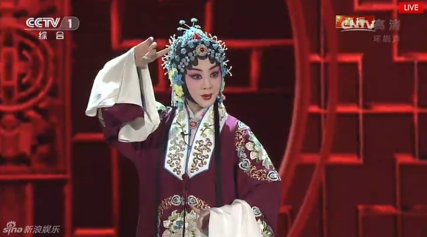 Indeed, the gala comes across as over-the-top, trying to be all things to all people with traditional programs such as Chinese operas for the elderly, and trendy pop music and dancing for the younger generation. Nevertheless, the CCTV New Year’s Gala is an essential part of the Chinese New Year experience, watched by multiple generations as extended families gather under one roof to enjoy a traditional dumpling dinner. This post covers the famous Chinese celebrities who make appearances on the show as well as the performances and programs you can expect. 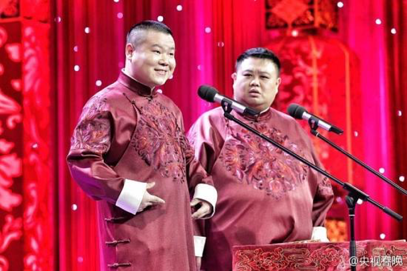 –小品 is one of the two most popular types of comedic entertainment in China. It is similar to a comedy sketch – props are used and the actors are playing different characters. Popular fodder for laughter in the CCTV gala highlight generational differences, or the difference between urban and rural folk. 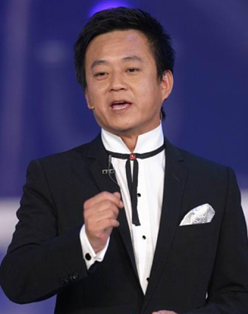 Comedian Zhao Ben Shan became a household name for his comedy skits at the CCTV gala every year from 1990 to 2011, for his portrayal of heartwarming and hilarious farmers. A 小品 is a sketch, but 相声 is more like stand up comedy. It can be performed alone, in groups, but it is most often done in pairs where two people stand on stage and exchange comedic dialogue back and forth. The comedians may tell stories, mimic others, or make fun of each other. To appeal to the younger generation, the CCTV gala usually bring in one or two of the hottest new acts. 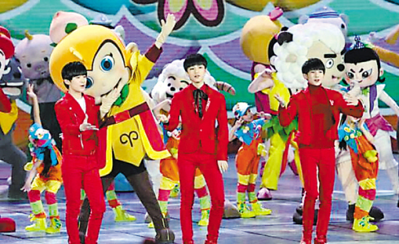 In 2016, it was the TFBoys, a teenage boyband trio with a fanbase of ~ 8 million at the time. Their appearance at the gala quickly made the trio a household name. For as much as the CCTV New Year’s Gala is entertainment, it is also a stage for the Chinese government to broadcast its political messages. 公益广告 (Gōngyìguǎnggào), or “public welfare commercials,” are similar to the western public services announcements, which the government tries to raise awareness about certain social issues. In 2016, two public welfare commercials emphasized the bond between father and son and the importance of a unified family. 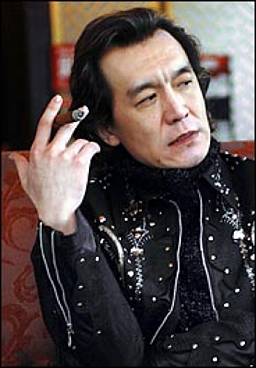 朱军(Zhūjūn) – an actor andtv program host. He is known for consecutively hosting the past 19 galas. 董卿 (DǒngQīng ) – a tv hostess who has hosted the gala since 2005. 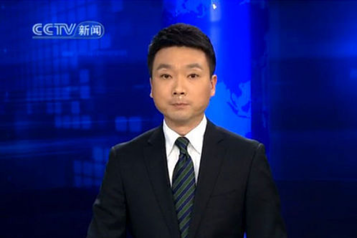 康辉 (Kānghuī) – A Chinese news anchor, known all over China as the host of the 7 o’clock news. He became a host in 2015. 李咏 (Li yǒng) – one of the most recognizable faces in China. He is the host of popular CCTV programs such as Lucky 52, Super 6+1, and the new host of The Voice China. He is known for his flamboyant outfits and unconventional looks. What do you think? 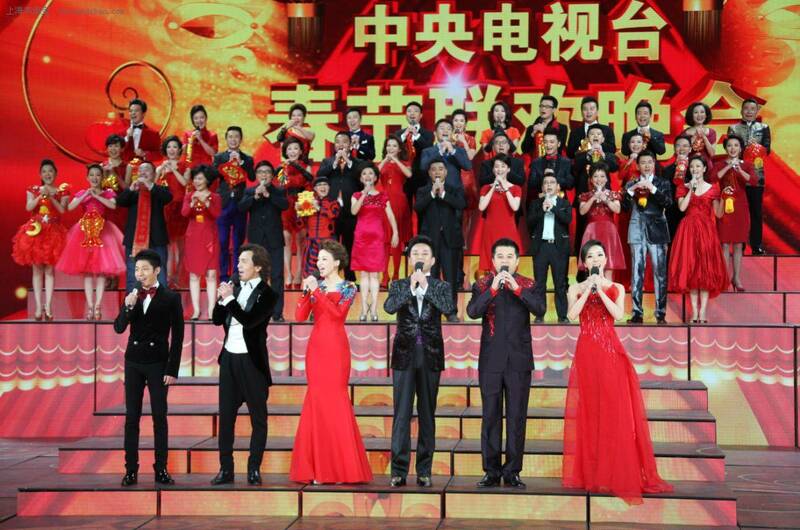 Would you tune in to watch the Spring Festival Gala this year? Let us know in the comments!